Norman Whitfield: One of Motown's greatest talents. Norman Whitfield, the legendary Motown songwriter and producer, has died at the age of 67. Whitfield is probably best known for I Heard It Through The Grapevine, one of the many songs he wrote with Barrett Strong. He produced both the Gladys Knight & The Pips version and later, the classic Marvin Gaye interpretation. Having started his Motown career in the quality control department, Whitfield joined the company's in-house songwriting team in the early '60s. He co-wrote many of Gaye's early hits, and also The Marvelettes' Too Many Fish In The Sea. If these records stuck firmly to the classic Motown blueprint, his later work with The Temptations did not. Whitfield is credited with giving the band their psychedelic soul sound, which can be heard on cuts such as 1968's Cloud Nine and the awesome Papa Was A Rollin' Stone from 1973. Edwin Starr's War was of a similar ilk - this 1969 hit was another Whitfield/Strong composition. After leaving Motown in 1973, Whitfield managed to secure a disco smash with Rose Royce - the theme song from 1976 movie Car Wash. He went back to 'Hitsville' in the 1980s - again to work with The Temptations - but his later life was marred by legal troubles and ill-health. 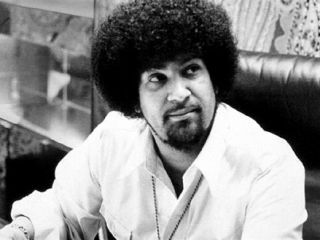 However, Norman Whitfield's legacy is assured: he will be remembered as both a great songwriter and an innovative producer. He died in Los Angeles, having spent several weeks in a coma brought on by diabetes and other complications.